During the past 20 years, Mr. Ward has successfully tried a wide variety of complex cases to verdict, including numerous cases involving claims of patent infringement, trademark infringement, breach of contract and fiduciary duty, consumer dispute, personal injury, and wrongful death and survival claims. His courtroom track record includes major courtroom victories against some of the world’s most recognizable companies, including Apple, Samsung and Microsoft, among others. Mr. Ward’s trial work has helped him earn a national reputation in high-stakes litigation, as evidenced by his induction into the American College of Trial Lawyers, his AV-Peer Review Rating by Martindale-Hubble and additional recognition in The Best Lawyers in America and the annual Texas Super Lawyers list published by Thomson Reuters’ legal division, which honors the state’s top attorneys. Mr. Ward is frequently called on by law firms throughout the nation to provide his knowledge and skill in complex cases before East Texas juries. He also is Board Certified in Personal Injury Trial Law by the Texas Board of Legal Specialization. 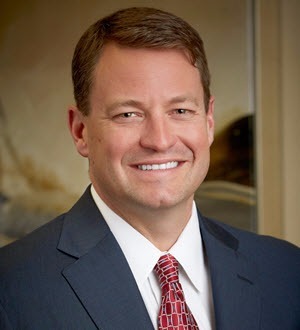 Among Mr. Ward’s professional affiliations, he is a fellow in the International Society of Barristers, a member of the American Board of Trial Advocates, a Fellow of the Texas Bar Foundation, and a sustaining member of the Texas Trial Lawyers Association. He is admitted to practice before the United States Courts of Appeal for 5th and 6th Circuits, and the United States District Courts for the Eastern, Northern, and Western Districts of Texas. In 2016, two of Ward, Smith & Hill's cases ranked among the Top 100 Verdicts in the nation, according to VerdictSearch and The National Law Journal: Mr. Ward helped VirnetX win a $302 million patent verdict against Apple Inc. After one week of trial, the jury awarded the amount based on Apple’s infringement of four of VirnetX’s internet security patents. The $302 million verdict was the ninth largest verdict overall in the U.S., and fourth largest IP verdict in 2016. In Texas, it was the largest IP verdict and the second largest overall of all Texas verdicts in 2016. That same year, Wes Hill and the firm successfully convinced a jury that Apple Inc. willfully infringed on a patent owned by Cellular Communications Equipment, resulting in an award of $22 million for past damages. The seven-day trial revealed how Apple knowingly infringed the patent in its iPhones and iPads. In 2015, Mr. Ward helped Texas-based Smartflash LLC win a multimillion-dollar patent infringement verdict against computer giant Apple Inc. over technology used in iPhones and other Apple products. The case was tried in the Marshall Division of the United States District Court for the Eastern District of Texas. In another 2015 trial, Mr. Ward helped Rembrandt Wireless Technologies, LP win a multimillion-dollar patent infringement verdict against Samsung Electronics Co. LTD in a dispute over Bluetooth technology. The case was tried in the Tyler Division of the United States District Court for the Eastern District of Texas. In yet another 2015 trial, Mr. Ward helped DataQuill, Ltd., win a multimillion-dollar verdict against ZTE in a case involving technology used in ZTE’s smartphones. The case was tried in the Marshall Division of the United States District Court for the Eastern District of Texas. In 2014, Mr. Ward and other trial team members representing pharmaceutical manufacturer Allegan, Inc., successfully secured a ruling from the United States District Court for the Eastern District of Texas to prevent a group of defendant drug companies from selling generic versions of the popular LUMIGAN medication, which is used to treat glaucoma and ocular hypertension patients. In 2013, Mr. Ward and other attorneys at Ward, Smith & Hill helped Medallion Foods Inc. and Ralcorp Holdings Inc. win a take-nothing jury verdict against Frito-Lay North America Inc. in a patent and trademark infringement case that included theft-of-trade-secrets claims. The case was tried in the Sherman Division of the United States District Court for the Eastern District of Texas.